Years and years ago, the summer after graduating college I spent some time visiting a friend in Southern Utah. One day we were being shown some of the highlights of the area by a local, so I was not paying much attention to specific locations. At that time I wasn't doing anything with the photos I had taken, so I was blissfully photographing locations when we stopped and zoning out on the car rides in between (or hanging out the window taking photos). 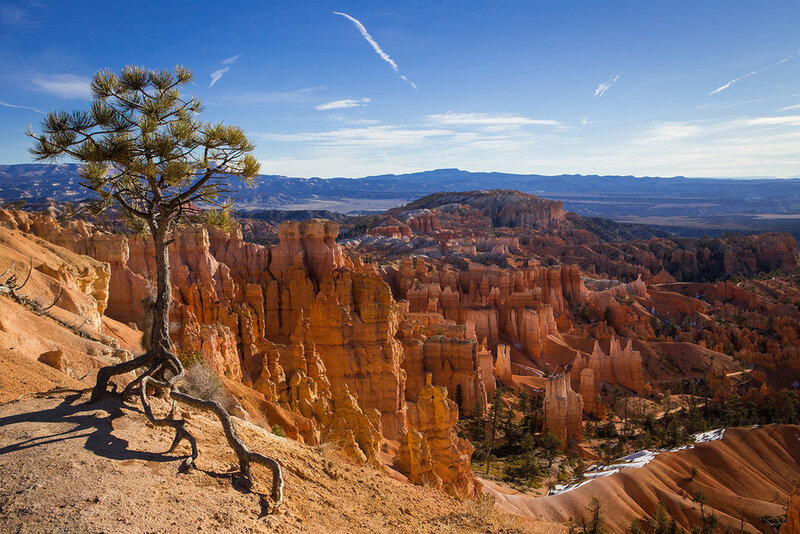 Searching with vague descriptions of the landscape as well as the general location led me to believe that I had visited Bryce Canyon National Park. Those photographs were some of my favorites from the trip, and over the years I recommended visiting Bryce, even going so far as to say that it was one of my all time favorite national parks. The last week of 2017 I went on a road trip to go back and re-photograph Bryce. I was excited, because this time would be with much better camera gear and enough time to hike and explore the park more intimately! My mind was blown by how much more intricate Bryce was than I remembered and I couldn't quite figure out where we had stopped and where I had photographed all those years ago. After downloading my photos from the recent trip I compared them to the ones I had originally taken and realized that it was not the same place. I checked and double checked photos from the various overlooks along the entire length of Bryce and then decided to check the photo against photos I had taken at Cedar Breaks National Monument as the last brief stop on the recent road trip. Those looked much more similar, but it still wasn't quite exact. A little more internet research narrowed it down and I found out that I had originally stopped at Sunset Overlook in Cedar Breaks. In that moment I realized that the exploring all those years ago didn't actually include visiting Bryce Canyon National Park. Which meant that for years I'd recommended a favorite park I'd never actually been to.